Desmond Dennis has upload the cover of H.E.R. 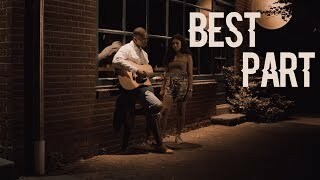 x Daniel Caesar - Best Part. A clean, smooth cover with romantic harmony. I'd like to listen to this with my love in the airport. デズモンド・デニスとコスタリカ・クインのお話 / Nike Presents: JUST DO IT. なりふりなんて ft. Koharu Sugawara, Lauren Tsai, Aori Nishimura etc. カナダでライブ！…なのか？（デズモンド・デニス） / Desmond performs 90's hits LIVE in Canada!